Welcome to GamblingDomains.io which was launched in late 2015 with the aim of providing a service to connect domain buyers and sellers for a unique gambling domain marketplace. 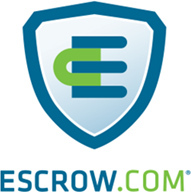 We offer buyer protection through the use of Escrow.com service which takes a payment from the buyer and puts it in escrow holding the money until the action of selling the domain and transfer is completed. Once this process is completed, the money is then released to the seller.